All good cycle shops will build the cycle for you and they will have a workshop to do servicing and repairs. 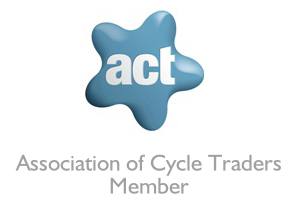 Get to know and trust your chosen cycle shop - they will look after you and your cycle after purchase. Choose the right cycle for what it will be used for. Try the cycle before purchasing, touch, feel, view and ride the cycle of your choice. Trevor is keen to promote Community Travel Zones and safe routes to school to cut down car usage for short journeys, and is a supporter of Sustrans National Cycle Network as well as The National Byway and other Cycle routes. It’s not wise to buy a cycle on line, mail order or from a toyshop, discount store, market stall, motorist discount store, supermarket. Never buy a cycle in a box. A specialist cycle shop will offer you good advice, size you up for the right cycle and offer a higher quality cycle that will be cheaper in the long term.